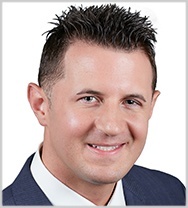 Michael Geraci is senior product manager, retirement consulting investment services, at Commonwealth Financial Network®, member FINRA/SIPC, the nation’s largest privately held Registered Investment Adviser–independent broker/dealer. With the firm since 2014, Michael manages Commonwealth’s retirement plan investment recommended list and performs due diligence and manager selection for the PlanAssist Investment Management Program. He works closely with the firm’s research team, conducting strategic-level screening and developing and managing key relationships with asset managers. Michael has a BA in political science from the University of New Hampshire and an MS in finance from Brandeis University, as well a certificate in executive leadership from Vanderbilt University’s Owen Graduate School of Management. He holds FINRA Series 6, 7, and 63 securities registrations, as well as the CRPC®, AIF®, CIMA®, and 401(k) Administrator designations and a Massachusetts life and variable insurance license. Information about securities-registered professionals may be found at FINRA BROKERCHECK. 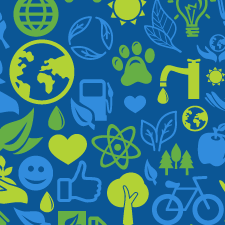 Environmental, social, and governance (ESG) investing continues to garner attention. The ability to invest in those companies that are mindful of sustainability practices, social issues, and other mission-related concerns allows investors to have some say in what’s important to them. When considering whether to offer ESG-focused funds in qualified plan lineups, however, advisors and plan sponsors need to be aware of the legal framework for fiduciaries and how the U.S. Department of Labor (DOL) views the investing style. Here, I’ll break down the details that go into implementing an ESG investment strategy, as well as some important DOL and due diligence considerations.